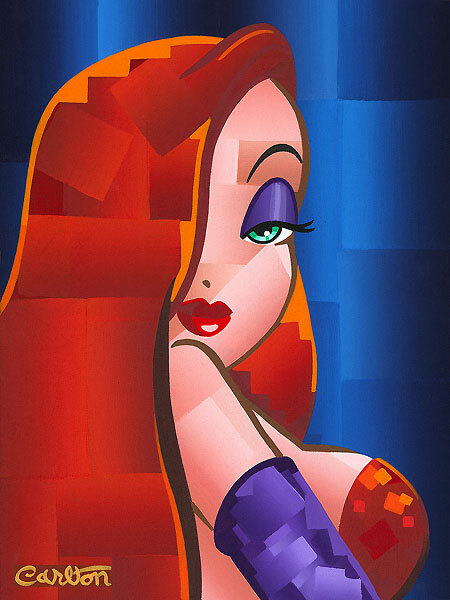 There is a new Jessica Rabbit artwork available from the Disney Originals Collection by Trevor Carlton. It's a dramatic close up of Jessica giving her over-the-shoulder look with a cubism effect in bold colors. This original artwork costs $1,800 and is available at World Wide Art.